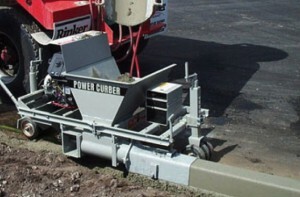 Power Curbers Extruders excel in job sites that require a less-expensive, glued-on concrete or asphalt curb. Sixty years ago, Power Curbers, Inc. invented the first extruded curb machines in the world, and we have been leading the industry ever since. Our extruders excel as both an asphalt curb machine and a concrete curb machine. 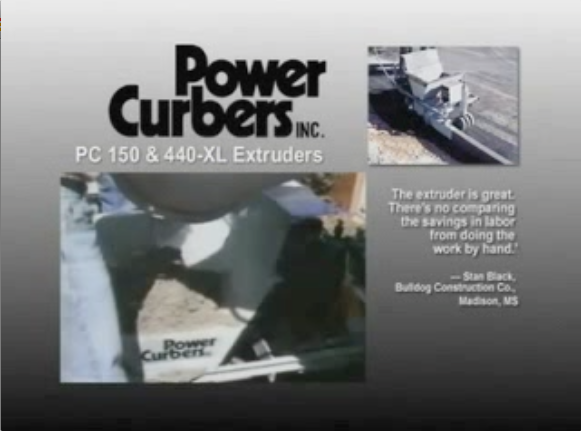 Contractors can produce big profits using a Power Curber Extruder. The concrete or asphalt mix is fed into the hopper of the extruder and is forced, under pressure, through a specially designed mold. The result is a pre-shaped, free standing, and structurally sound curb with a smooth finish. The curb may be placed on concrete, asphalt or 95% compacted subgrade. Learn more about this equipment here. Click here to view the extruder video.